A rainy day in the middle of summer is a blessing and a curse. The trees love it, but my 2 year old cutie is not so happy about it! So today I’m sharing a teacher-mama activity that I found on pinterest thanks to Growing a Jeweled Rose. 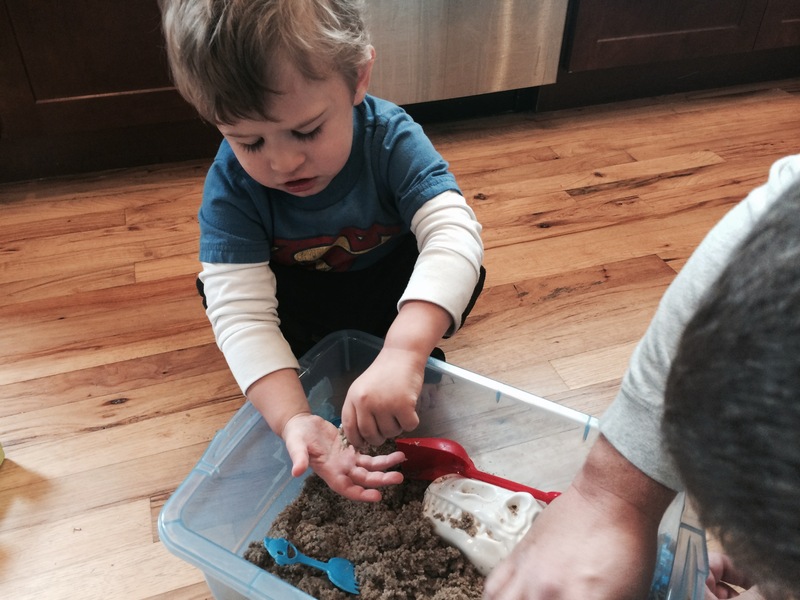 We brought one of my son’s favorite outdoor activities inside–sand! Thanks to the recipe I found on Growing a Jeweled Rose, we turned our normal sand from the sandbox into amazing sand-art! 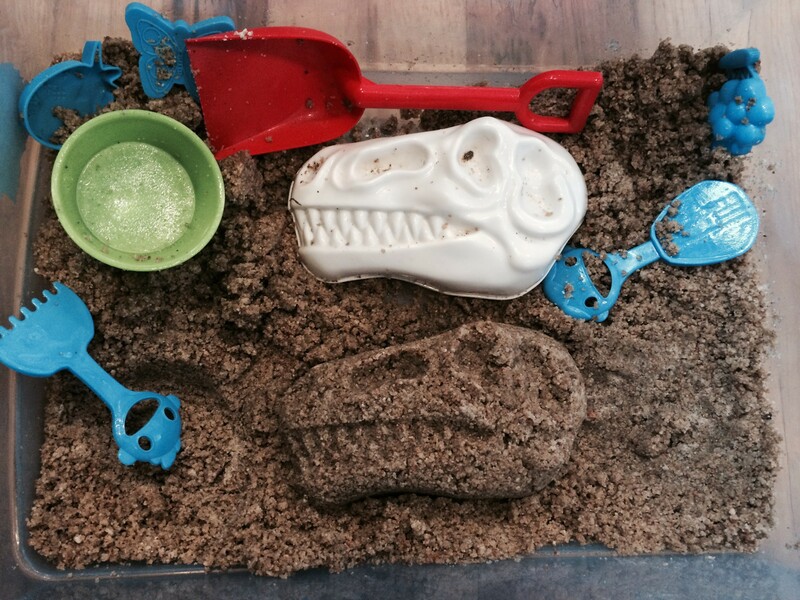 We pulled out the play dough tools and other molds to make some awesome sand sculptures. 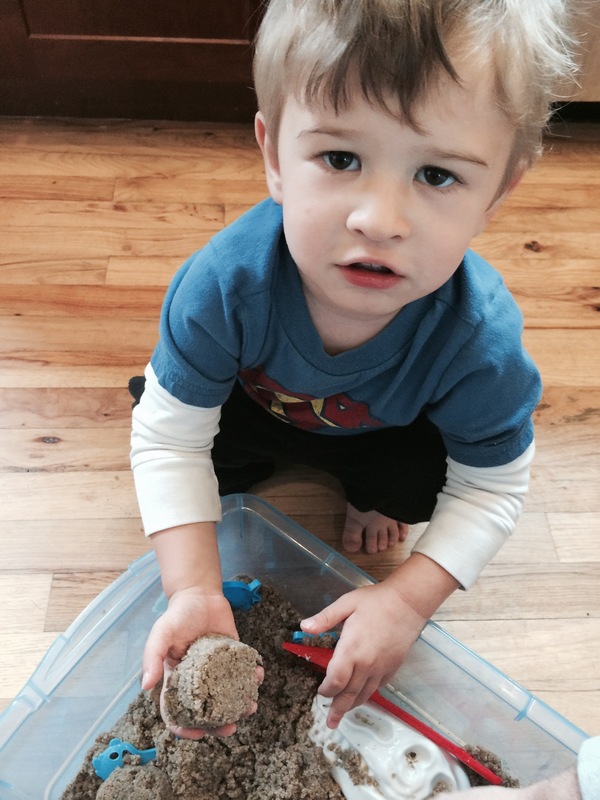 My son’s favorite part was knocking it all down of course! The texture was interesting . . . This must be how they make those amazing sand castles on TV because they hold their shape very well! Indoor fun on a rainy day! 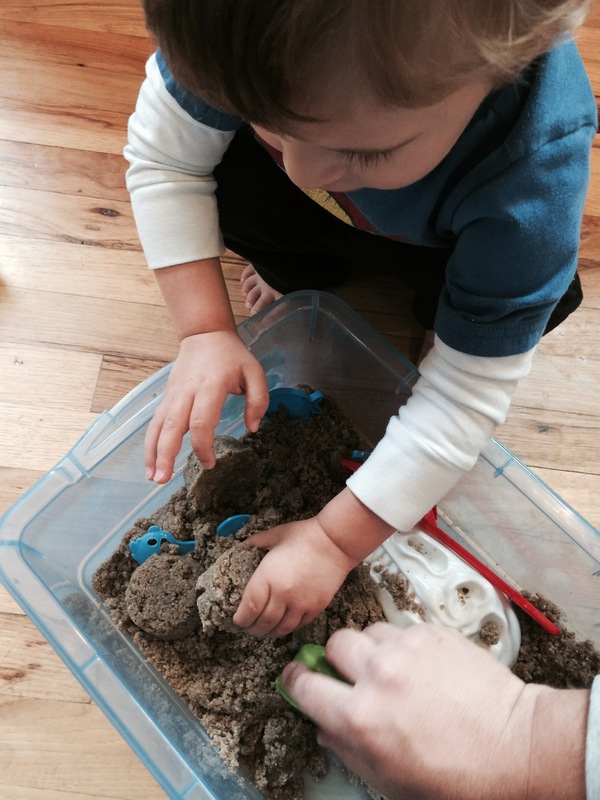 This is great for toddler sensory and discovery. I wonder if we can find a use for it in the classroom too? Any ideas? Oh Pinterest, how you inspire me! (Click here to see my Pinterest Pages.) So many teachers have a DIY (Do It Yourself) list they’re working on this summer for their classrooms and homes, and I’m excited to start on my DIY list too! 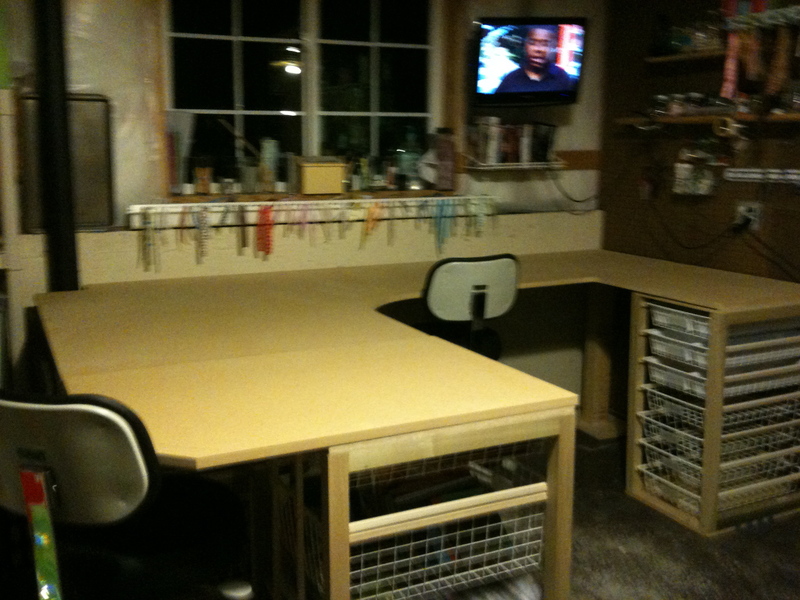 The picture above is my “art room” in the basement. My handy husband built it for me, and I’m ready to use it! So this summer I will be posting a new DIY project each week (hopefully), and linking it up with the “Monday Made it” linky party! My first DIY project is sight word bottles shared by Classroom DIY (click the link for directions on how to make them). I love these! I already had everything I needed at home in my “Art Room,” so it didn’t cost me a thing. 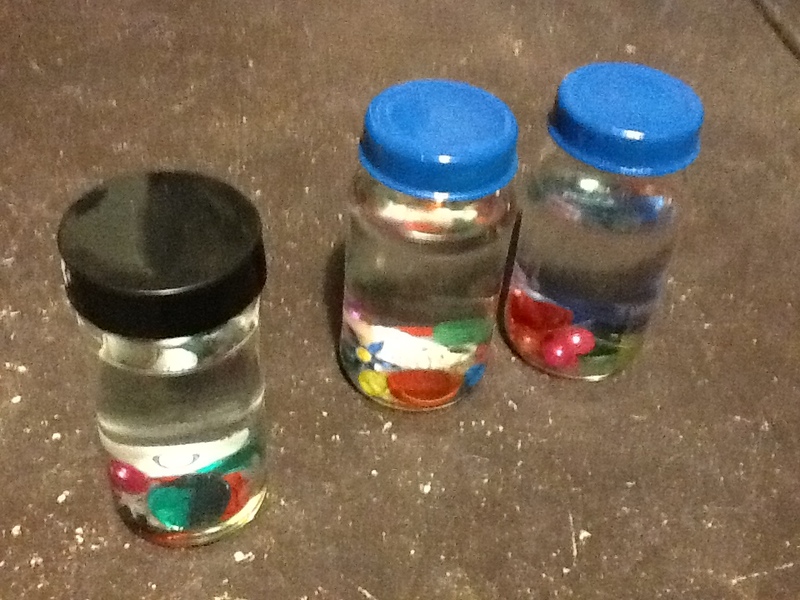 I used baby food jars, letter beads from my scrapbooking stash, pony beads, confetti, and old overhead manipulatives. (I have had a doc camera for years now, and I was going to throw away those see through circles for the overhead, but they were perfect for this project!). I added water, a little hot glue, and WA-LA! A new sight word literacy work station. I did make a few additions to the original directions that I followed. I made enough bottles to have 2 different pages of sight word bottles, so I spray painted the lids to coordinate with the color of paper I printed the list on. 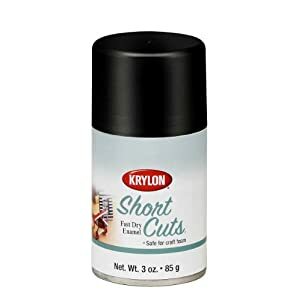 DIY Tip: If you don’t need a whole can of spray paint (which can be expensive) Krylon makes 3 oz. cans called “short cuts.” (Stores like Joanne’s and Micheal’s had the best prices –under $4.) 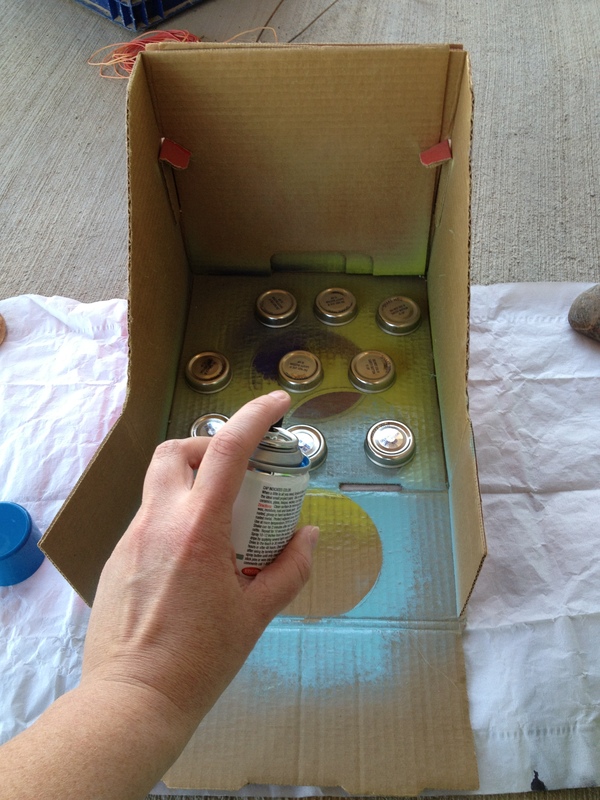 For small spray paint projects like this, cut one side off of a box and spray inside the box. This will keep you from painting more than the lids! I think my students will really like this! 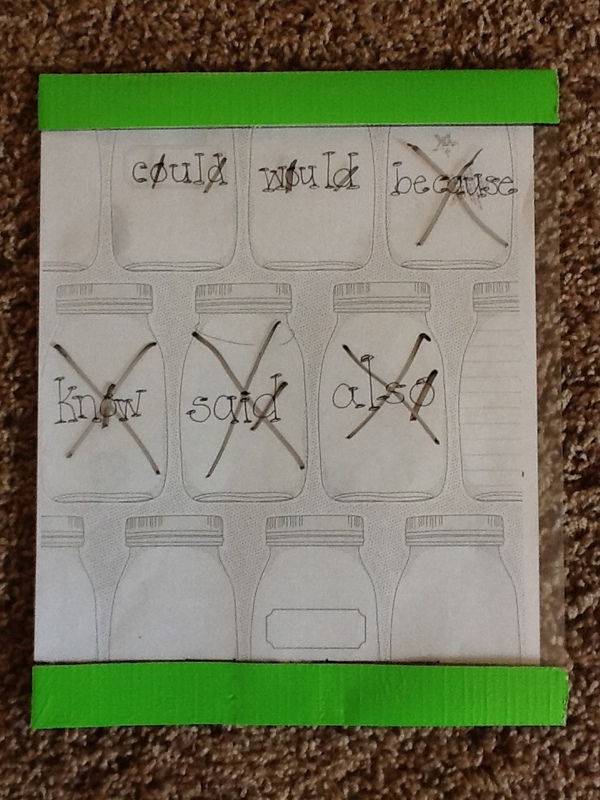 Have you ever made sight word bottles? Are you going to? 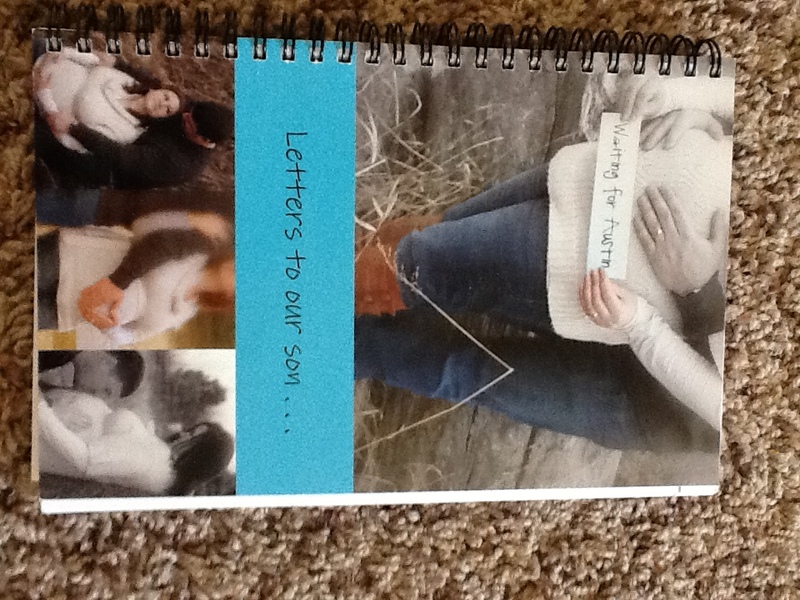 Leave me a comment and/or a link to your blog and let me know! I’d love to hear about your DIY projects for inspiration! It has been awhile since I’ve posted anything because I’ve been on maternity leave! 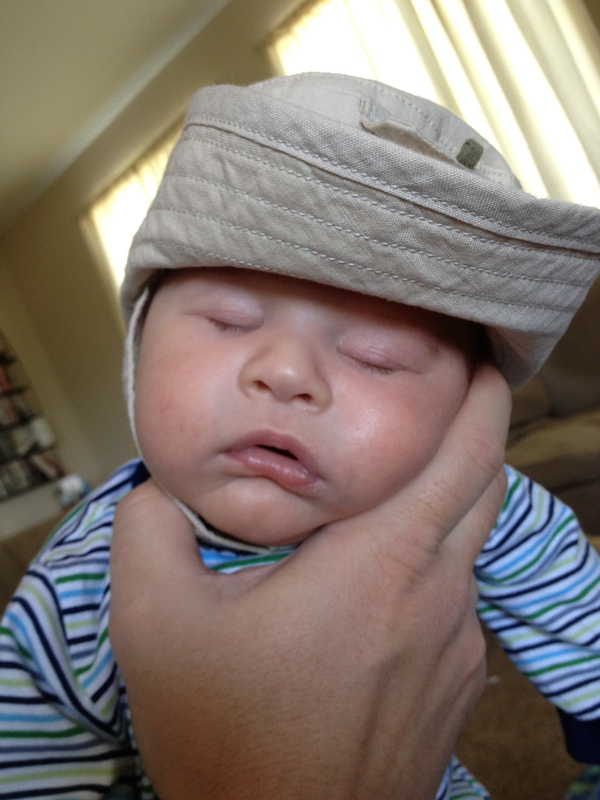 My long-awaited baby boy arrived March 25, 2012 (over spring break), and I’ve been enjoying every moment since! My maternity leave lasted until summer began, so I am lucky enough to have 4 months with my boy before I go back to work. 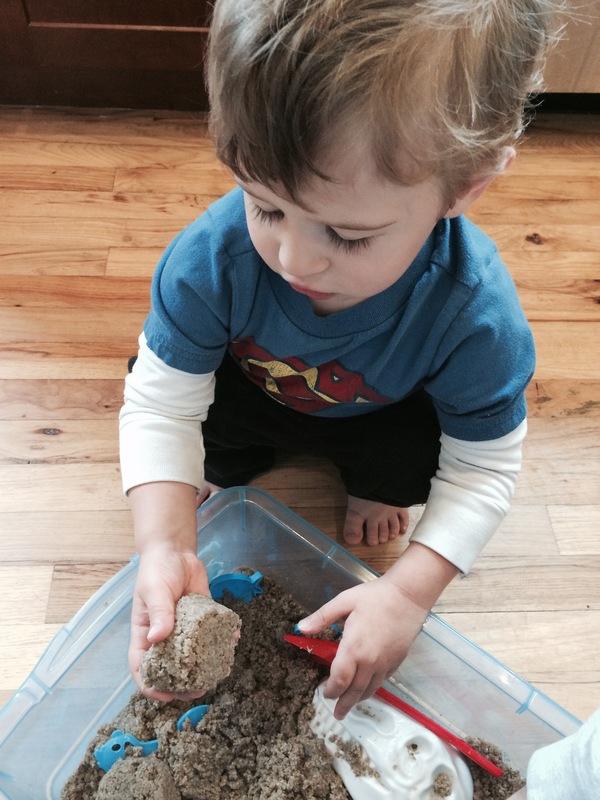 I have to admit that I’m worried about being a full time mom and a full time teacher. Don’t get me wrong, I LOVE teaching–in fact, like many teachers I know, I tend to be an overachiever when it comes to teaching. I put in a lot of time, effort, blood, sweat, and tears because I enjoy it. The payoff I get from the students in my class who are excited to learn is the reason I chose this profession. 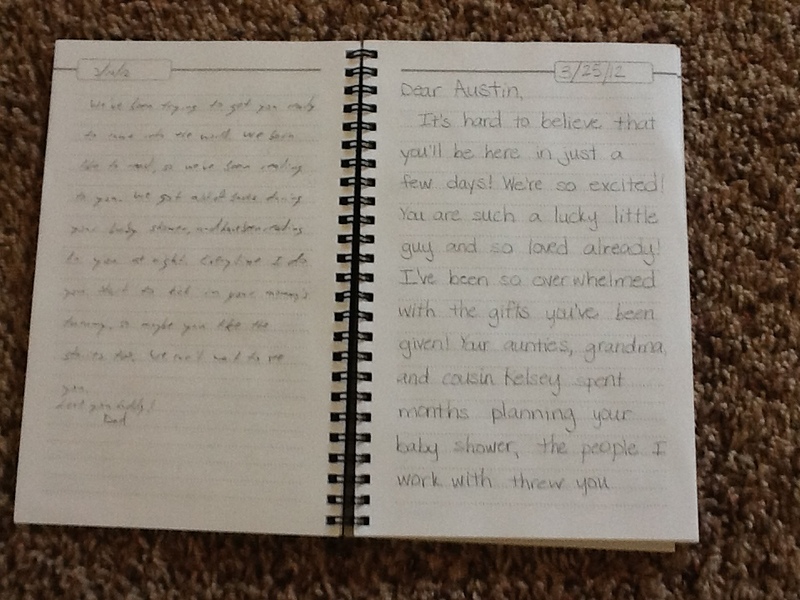 And now I want to be an over achiever for my son as well. But how do I do both without letting one suffer? 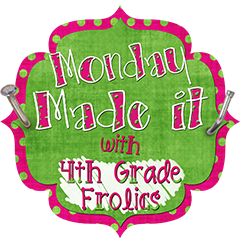 I know it can be done because I’ve seen amazing teacher mamas do it. But as I look at the precious face of the little bundle in my arms right now I wonder . . . how? So . 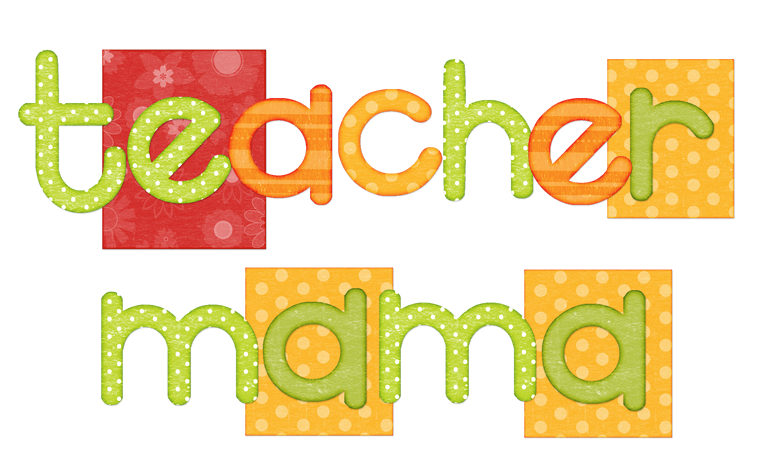 . . any advice for the new teacher mama?